Excise and Taxation Department has issued a public notice on 06.10.2013 regarding recently levied advance VAT under Punjab VAT Act, 2005. This public notice specify that 100% adjustment of advance VAT is available against tax liability of a taxable person at the time of filing of his return. 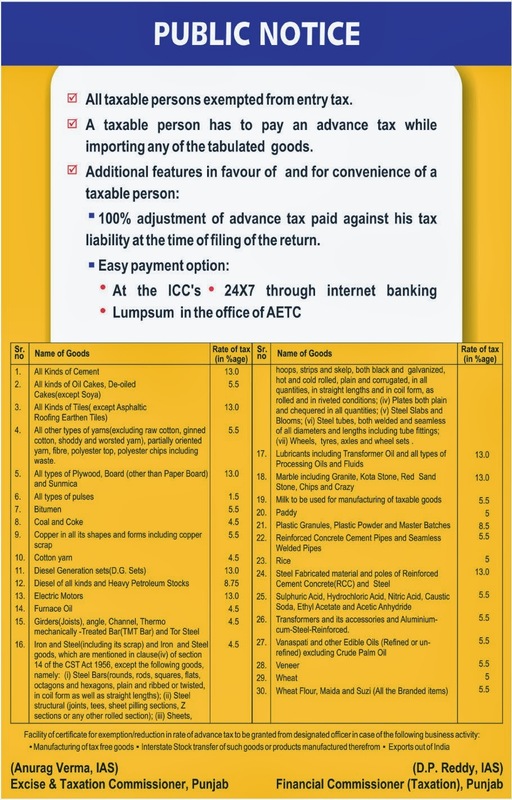 This public notice tends to suggest the intention of the legislature that no reversals from advance tax will be made in case of inter-state stock transfer or manufacturing of tax free goods or u/s 13(5) where ITC on certain goods is barred.